At last, a simple tool for controlling the times during the day when a PC can be logged in! With pcLockOut, you can control when any given user has access to a given PC. 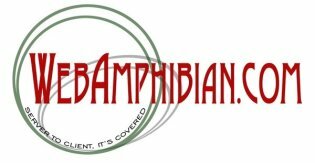 Given our background of almost twenty-five years of experience in the computer industry, WebAmphibian.Com has a diverse set of products, services, tools and experience that can be used to your advantage whether your business is big or small. Contact us today about taking your technology infrastructure to the next level!